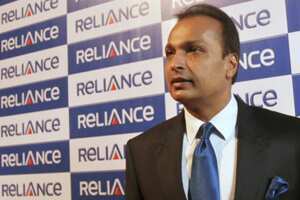 New Delhi: An employee of Reliance-Anil Dhirubhai Ambani Group, now known as Reliance Group, brought forth as the first witness by the prosecution in the 2G spectrum trial, said on Friday that he was not sure if group chairman Anil Ambani was ever chairman of Swan Telecom Pvt. Ltd, now known as Etisalat DB Teleservices India Pvt. Ltd.
One plank of the Central Bureau of Investigation’s (CBI’s) criminal conspiracy charge is that Swan Telecom was used as a front company by Reliance Telecom Ltd to illegally apply for telecom licences in 2007. Reliance Telecom and its three executives Gautam Doshi, Hari Nair and Surendra Pipara are facing charges along with Swan Telecom and its promoters Shahid Balwa and Vinod Goenka. Reliance Telecom is a unit of Reliance Communications Ltd, which in turn belongs to the Reliance Group. Evidence started to be formally recorded in the 2G spectrum case as the special court started the high-profile criminal trial on Friday. The prosecution brought forth two out of an initial list of 28 witnesses. Subramaniam, 41, and A.N. Sethuraman, 59, group president of Reliance Group, who joined the undivided Reliance group in 1987, were the first witnesses to be examined, first by the prosecution and later cross-examined by defence lawyers. Sethuraman’s examination will resume on Monday. “I never got any opportunity to work with any of them," said Subramaniam to the court, when questioned on Doshi, Nair and Pipara. However, he said he knew of a bank account being opened by Swan Telecom, and he signed off on the papers as was required by him, being the corporate finance executive in charge of Reliance’s telecom sector operations. Former telecom minister A. Raja, member of Parliament K. Kanimozhi (both of the Dravida Munnetra Kazagham), Sharad Kumar (managing director of Kalaignar TV), Unitech Wireless Ltd along with its managing director Sanjay Chandra, former telecom secretary Siddhartha Behura, Raja’s former private secretary R.K. Chandolia and three others are facing charges in the case. Raja’s lawyer refused to cross-examine Subramaniam and Sethuraman on grounds that the investigation into all aspects of the case was not yet complete. “Ask the public prosecutor whether investigation is complete. He knows it all in and out. I cannot understand why you (judge) do not wait for the investigation to be over. Just note my status, I refuse (to cross examine the prosecution witnesses)," senior advocate Sushil Kumar, appearing for Raja, told Judge O.P. Saini. Vinod Kumar Budhiraja, chief regulatory officer of Etisalat DB Telecom, was also summoned by the court on Friday, but his examination will be conducted next week. The rest of the initial list of prosecution witnesses are primarily Reliance Group employees, Etisalat employees and a vice-president of HDFC Bank Ltd, since this is the bank used by Reliance to open an account for Swan Telecom.